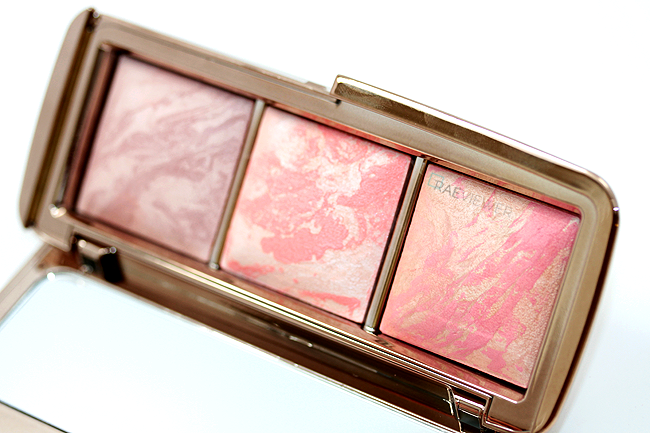 I have tried all but one of the Hourglass Ambient Powders, but my favorite thus far is the ever popular Ambient Lighting Palette ($58). 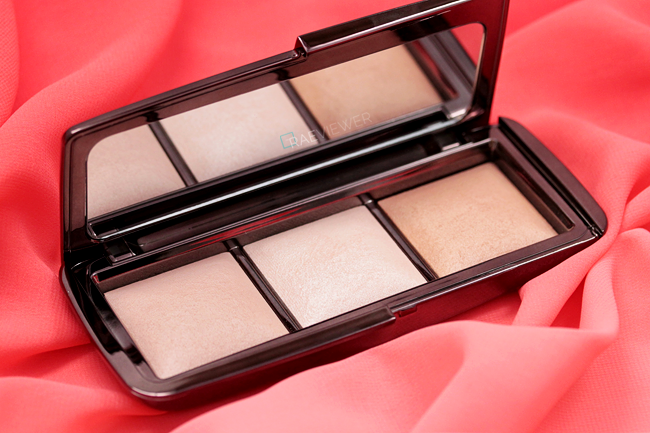 It is largely due to the phenomenal highlighter called Incandescent Light, the ivory version of Luminous Light, an exclusive to the palette. Dim Light also works as a highlighter, but I tend to use it all over the face on top of tinted moisturizers or alone over sunscreen. 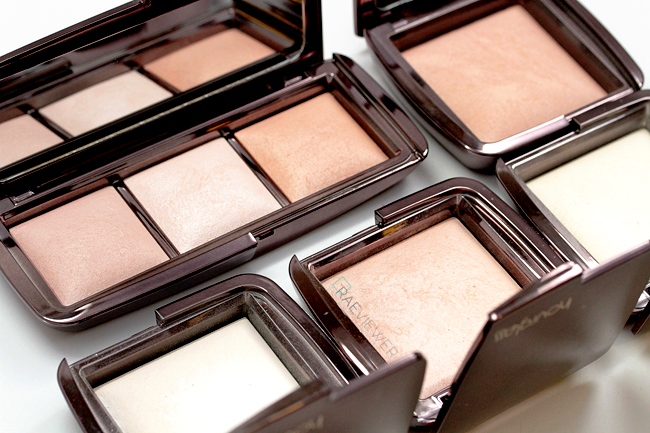 Now, I mostly use my full-size Ambient powders in Ethereal and Diffused Light to set my liquid foundation and Radiant Light as a subtle bronzer. Since it offers the best of the Ambient powders, I believe the palette is a genius interpretation of the collection for makeup aficionados and pro makeup artists alike. The powders give the skin a soft-focus effect that blurs away imperfections and provide the smoothest luminescent glow possible with a face powder. 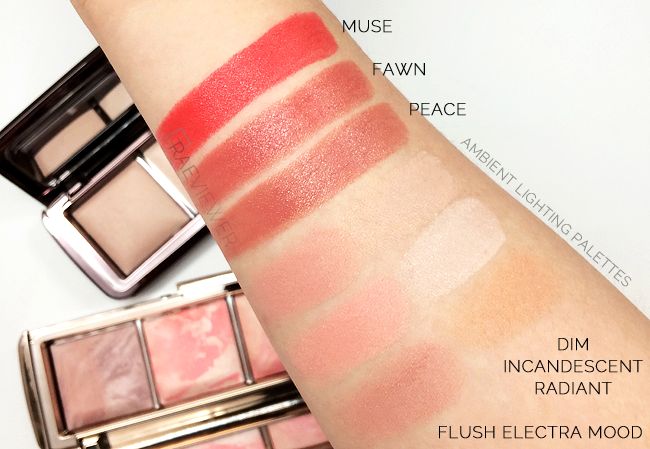 If you are new to Hourglass, this palette is the first product you should splurge for and experiment with! It is so practical yet supremely versatile. Combine shades and swirl away to color correct as necessary. I own the full-size Ambient Blushes in Ethereal Glow (my favorite cool pink) and Diffused Heat, which made the Ambient Lighting Blush Palette ($58) a most welcome addition to my collection. Each shade is unique! Just as with the powder palette, the blush palette features an exclusive shade — a bright cool peach called Incandescent Electra that is rather difficult to capture. Incandescent Electra provides a girly, lustrous flushed effect while Luminous Flush is an elegant champagne rose ideal for evenings and Mood Exposure is a soft matte plum-brown, perfect for work. This handmade blush formula is not quite as radiant as the powders are, but they are truly natural and beautiful blushes. The miscelare technique creates the perfect balance of pigment and powder, so I love that no two look alike. Unfortunately, this coveted palette is limited edition. 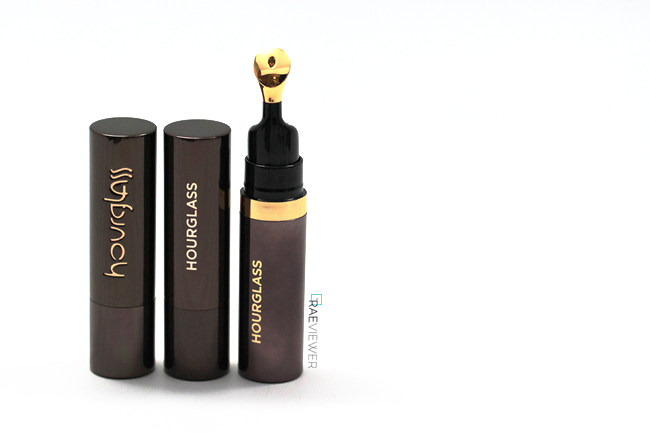 It is sold out at most retailers, but Nordstrom just launched Hourglass so there is still stock available! Take advantage of this opportunity yours now. 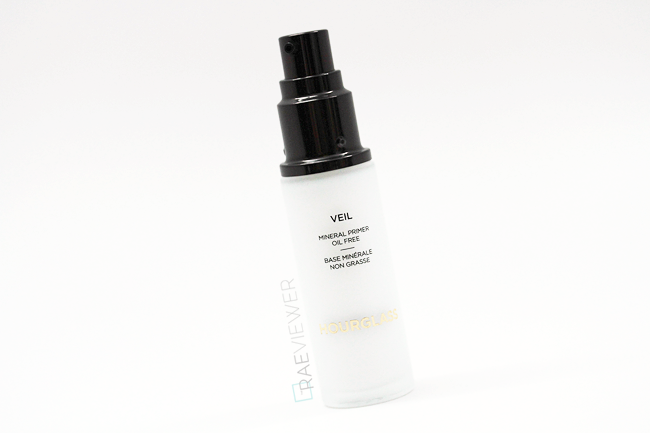 The Veil Mineral Primer ($52) was the first Hourglass product I ever tried. I was never a primer fanatic, but I was so floored by its impressive performance that I shared it with anyone who would listen. If you have oily or combination skin, this primer is indispensable! Just apply 1/2 to 1 pump (less is more with this product) of the lightweight liquid to clean, moisturized skin for flawless foundation results. It dries down quickly and results in smooth, silky skin. The Veil does not feel greasy or tacky and does not contain shimmer. It also does not ball up during foundation application, which I know many of my readers worry about when it comes to primer. In addition, this primer conceals redness, minimizes pores and repels water to keep makeup fresh for eight hours or more. The sunscreen gives it a white cast, but the Veil keeps oily T-zones at bay more effectively than any other mattifying primer I have tested. When Hourglass announced the launch of the No. 28 Lip Oil ($42) early last year, I was hesitant. My lips are genetically dry and ultra sensitive, so I am always on the hunt for the latest and greatest in lip treatments. I, however, have yet to stumble across a lip oil as efficacious. The botanicals, vitamins, and cutting-edge actives in the richly concentrated formula are super nourishing, and the opulent 24-karat, antibacterial gold-plated tip soothe the lips. I absolutely love it. The delivery system is as sanitary as possible, but the formula is on the thicker end and feels a little sticky. I recommend using it at night to maximize the benefits of the treatment while sleeping, but I use it during the day so long as my long hair is pulled back and out of the way. I just adore the extra glossy shine of the oils! It smells and tastes pleasant. For more photos and application tips, please refer to my detailed review here. 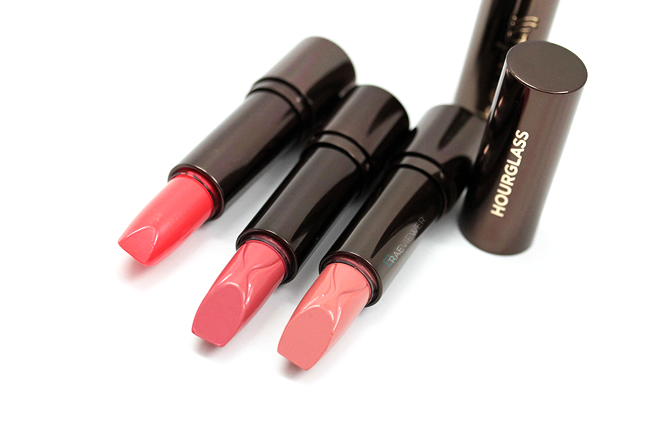 The Femme Rouge Lipsticks ($30) are some of the creamiest, most lustrous lipsticks on the market. 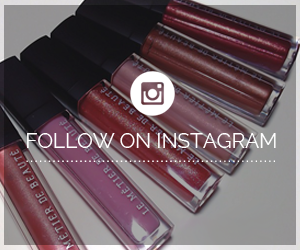 If you require pigmented color that hydrates the lips without breaking the bank, look no further! I love the look of full, plush lips since mine are constantly battling dryness, so I tried a few shades (without shimmer) and fell head over heels. They last about four hours with moderate sipping. Muse is the first color I ever tried, and it is an intense coral. I rarely wear lipsticks that lean so far orange, but I quite love it with a smoky eye. I reach for Peace and Fawn often since they are sheerer and more appropriate for day time wear, though they also pair well with darker eyeshadow looks. If you're looking for other nudes to try, I recommend Mural and Grace. 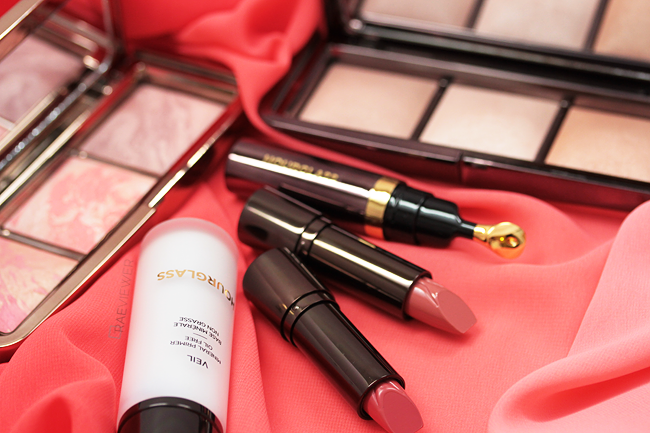 If you prefer bold lips, try Fever and Icon. Refill cartridges are also now available to cut down the cost of replacing your favorite shade(s). 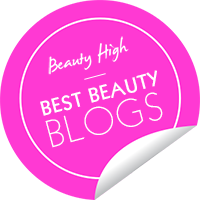 beauty products on the market, and these are the best five to start with! 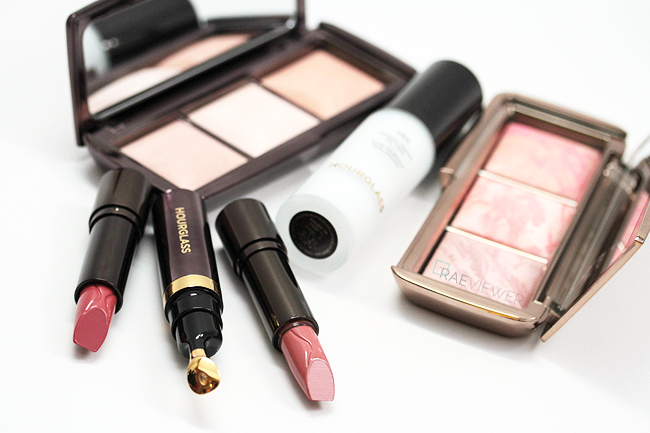 Hourglass is one of my favorite makeup brands. I have yet to try to the Femme Rouge lipsticks though. How do they perform when you reapply them? Like you, my lips are usually very dry and flaky. The first product I tried from Hourglass was their blush palette, and it just gives such a natural blush, that I was blown away. 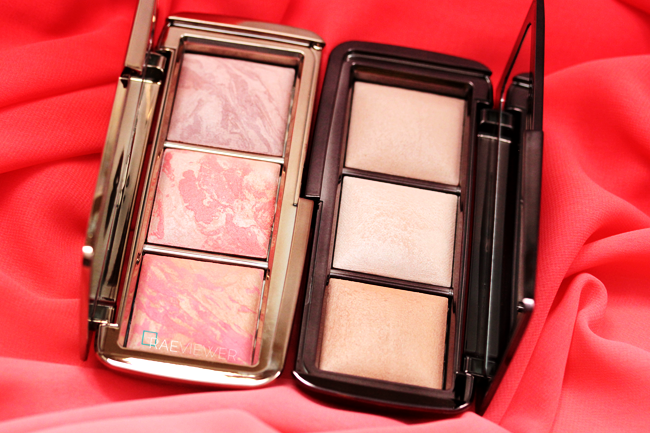 I never felt inclined to try the ambient lighting palette, but after your review, I just might, hahaha. I'm so glad Nordstrom now sells Hourglass and most especially excited about the fact that Nordstrom ships to Guam. I purchased the small size of the primer and the ambient lighting palette to start. Still waiting for those to arrive. And now I'm going to purchase the blush palette! I didn't know it was limited edition! I've been eyeing the blush palette but someone told they won't work on my NC42 skin, What do you think Rae? Great, albeit very expensive, post! 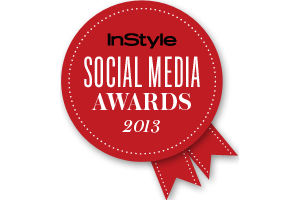 Thanks for this and for all the "Top 5" posts -- extremely helpful!